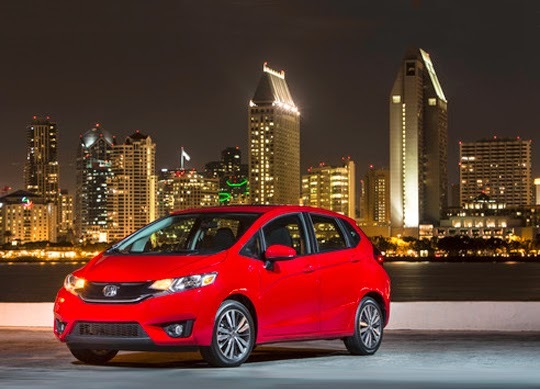 Honda will demonstrate the great personalization potential of the all-new 2015 Fit through an ambitious project vehicle program and interactive Tumblr experience launching today and culminating at the 2014 SEMA Show in Las Vegas. Honda has selected six build teams, Bisimoto Engineering, Kontrabrands, MAD Industries, Spoon Sports USA, Tjin Edition and the award-winning Kenny Vinces, who will each have the opportunity to customize a 2015 Honda Fit leading up to the SEMA Show. To further support enthusiast interest in the Fit project car build process, Honda is initiating the Fit Performance Project (#ProjectFit) on the brand's Tumblr page, which will keep track of the teams' progress with each vehicle. "Personalized Honda subcompacts were the foundation of the original import tuner revolution, and the all-new Fit upholds that legacy with a great powertrain, an engaging chassis and renowned Honda quality, all at an affordable price," said Jeff Conrad, senior vice president and general manager of the Honda Division. "Our Fit project vehicle program and our Tumblr initiative, #ProjectFit, together offer a unique, fun way to demonstrate the personalization potential of this great new car." The build teams will each bring their personalized Fit to life with modifications such as aerodynamic body kits, wheels, custom paint jobs and more. Photos of the transformations in progress will be posted throughout the campaign at hondaloves.tumblr.com. The program will conclude with all six customized Fit project vehicles being displayed at the SEMA Show in Las Vegas in November. From Aug. 21 through Oct. 22, Project Fit content, including photos, animated GIFs and video, will be aggregated on Honda's Tumblr page where people can vote for their favorite customized Fit by liking and reblogging posts tagged with #ProjectFit. The shop with the highest total likes and reblogs will win and receive an award from Honda. This effort will be promoted on automobiles.honda.com, in Honda newsletters and on the brand's Facebook and Twitter profiles. The Fit Performance Project posts will feature several themes including: "Preview," revealing design illustrations or renderings; "Show Us Your Mods," highlighting five modifications made to the vehicle; "In Progress," revealing headway on the design; and more leading up to the vehicles on display at the SEMA Show. Honda could have just let it go, but they didn’t. When the 2015 Honda Fit originally went through the Insurance Institute for Highway Safety’s crash tests back in March, it of course scored top marks in the four tests that have been around forever, but it was only granted a score of “Marginal” in the newer small front overlap crash test that has stymied so many automakers across the industry. 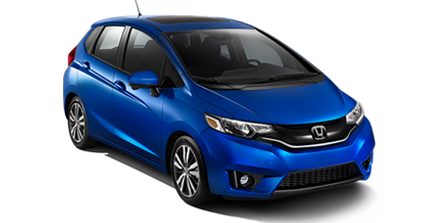 "Honda's deep-rooted commitment to safety and to our customers is perhaps best demonstrated by the fact that we were not satisfied with anything but a TOP SAFETY PICK for the new 2015 Honda Fit," said Art St. Cyr, vice president of auto operations at American Honda. "Vehicle by vehicle, our engineers are passionate about developing safety technologies that consumers have come to trust and expect from Honda." 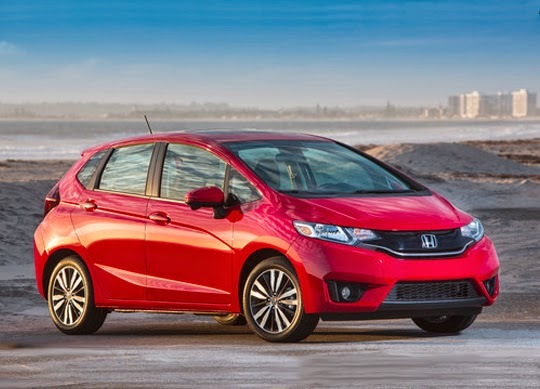 Already the benchmark subcompact in terms of passenger and cargo space and innovative features, occupant safety for the 2015 Honda Fit is further enhanced through the next-generation Advanced Compatibility Engineering™ (ACE™) body structure. The next-generation ACE™ body structure improves frontal crash energy management through a wider range of offset and oblique collision modes. In addition, other body reinforcements work in tandem with the strengthened body structure to better maintain the occupant compartment volume during frontal collisions by providing additional crash energy pathways to help mitigate the forces transmitted to the passenger compartment. In addition to including the next-generation Advanced Compatibility Engineering™ (ACE™) body-structure, the 2015 Fit features a host of standard active and passive safety features and includes many standard and available driver-assistive technologies. Standard safety equipment on all 2015 Honda and Acura models includes the next-generation of Honda's ACE™ body structure, Vehicle Stability Assist™ (VSA®) with traction control; an Anti-lock Braking System (ABS); side curtain airbags (some vehicles equipped with a rollover sensor as well); dual-stage, multiple-threshold front airbags; and front side airbags. Based in part on advancements to Honda's Advanced Compatibility Engineering™ (ACE™) body structure, American Honda today leads the industry in third-party crash test ratings, with more models achieving top safety ratings from the Insurance Institute for Highway Safety (IIHS) than any other automaker. The company also is broadly applying advanced driver-assistive technologies such as LaneWatch, Forward Collision Warning and Lane Departure Warning to its product lineup. Also, Honda has applied rearview cameras as standard equipment to all of its light truck models and 95 percent of its passenger cars for model year 2014, and will achieve 100-percent application by 2015. Honda has really taken its time in getting an aftermarket supercharger kit for the CR-Z to enthusiasts in the US. It's finally on sale, though, and it makes you wonder if the hybrid hatchback shouldn't have had it from the day it went on sale. air filter for $5,495, before installation. However, the setup only works for six-speed manual transmission models from the 2013 and 2014 model years. If you want to take things even further, HPD is also offering an optional limited slip differential for $1,375 and sport clutch for $640, according to Howell. Development of the supercharger kit has been ongoing for years. We first saw it on the CR-Z Mugen RZ in 2012 in Japan, in which it barely bumped power to 153 hp. Later at SEMA, Honda improved things to a more respectable 185 hp. Then in 2013, we actually got to drive an early version boasting 190 hp and found it a solid improvement over the stock powertrain. It appears Honda had some further tweaks to get things to the current 197 ponies. More good news: assuming you get the package installed at a dealer, the car maintains the balance of its 5 year/ 60,000 mile Honda limited powertrain warranty. Is this too little too late, though? The CR-Z is already dead in Europe, and it makes you wonder how much longer it can stick around here. In the meantime, the supercharger kit does give the hybrid hatch something that it really needs – power to back up its sporty looks, though no mention is made of how the modification impacts fuel mileage. Scroll down to read HPD's full announcement about the supercharger. Supercharged performance for the street is now available in the Honda CR-Z Sport Hybrid Coupe through a new dealer-installed Honda Performance Development (HPD) supercharger kit. Best known as Honda's North American racing company, HPD developed a full line of street performance accessories for the CR-Z and first revealed them at the 2013 SEMA Show. With the debut of the supercharger kit this month, all of the HPD street performance components for the CR-Z are now available at Honda dealers in the United States. Available for the 2013 and 2014 CR-Z, the HPD supercharger kit boosts total powertrain output to 197 hp1 (vs. 130 hp in the stock 2013 and 2014 CR-Z with manual transmission) and includes the HPD air-to-air intercooler, high-flow fuel injectors, an ECU calibrated to meet CARB AT-PZEV regulations with 91 octane fuel and the HPD air filter system. Honda's Suggested Retail Price of the kit is $5,495, not including dealer installation, which is priced similarly to popular aftermarket supercharger kits but is engineered and backed by Honda. The HPD supercharger kit maintains the balance of customer's 5 year/ 60,000 mile Honda limited powertrain warranty when installed by a Honda dealer. The HPD supercharger kit is available exclusively for CR-Z manual transmission models and HPD has developed an optional limited slip differential and HPD sport clutch for those customers looking for an even higher level of performance. 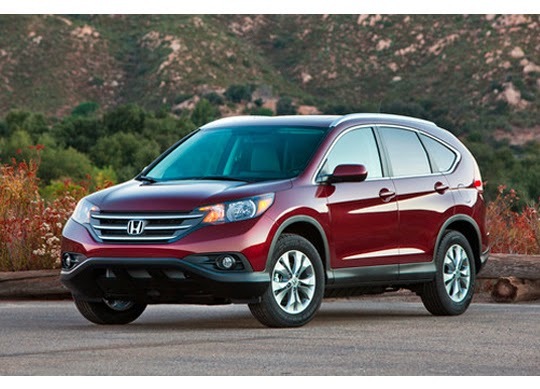 Honda vehicles have a reputation as being sturdy, reliable, long-lasting cars, which has helped them to become one of the most successful auto brands in the history of the industry. However, “sturdy, reliable and long-lasting” aren’t often synonymous with “cool,” so some people get the mistaken idea Honda vehicles aren’t trendy enough to compete with other brands whose modus operandi centers solely around the cool factor of their automobiles. 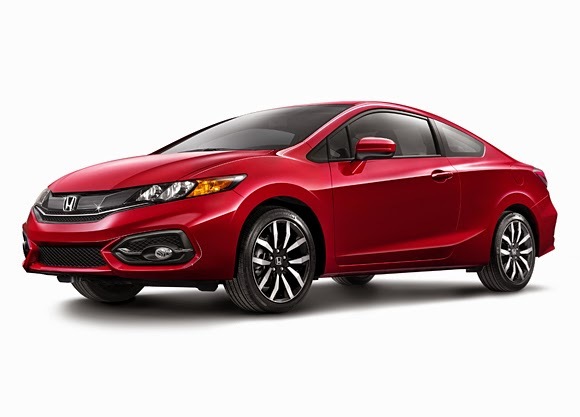 The inclusion of the 2014 Honda Civic Coupe on Kelley Blue Book’s list of “10 Coolest Cars Under $18,000” proves that these aren’t just beige boredom-mobiles intended only for people over the age of sixty. Quite the contrary; with recent redesigns in a lot of Honda models and a tremendous influx of cutting-edge technologies, these automobiles are cooler than they’ve ever been, and the new Civic Coupe really helps to bang that point home. SiriusXM services require a subscription after any trial period. If you decide to continue your SiriusXM service at the end of your trial subscription, the plan you choose will automatically renew and bill at then-current rates until you call SiriusXM at 1-866-635-2349 to cancel. See our Customer Agreement for complete terms at www.siriusxm.com. Fees and programming subject to change. XM satellite service is available only to those at least 18 years and older in the 48 contiguous United States and D.C. ©2013 Sirius XM Radio Inc. Sirius, XM and all related marks and logos are trademarks of Sirius XM Radio Inc.
Honda is no stranger to accolades, as a quick perusal of the automaker’s “awards and recognition” page will prove, but while sometimes those awards are for one specific model or one general feature, we here at Pacific Honda particularly enjoy the accolades that just praise a model for being top-to-bottom wonderful. Sometimes, like in the case of the Edmunds Top Rated Car Awards, we get to bask in the glow of several Honda vehicles being honored in such a way. In a month of bests, Accord, the brand's top-selling model, finished its best July in five years, CR-V posted its best July sales ever and the all-new Fit had its best month of the year so far. 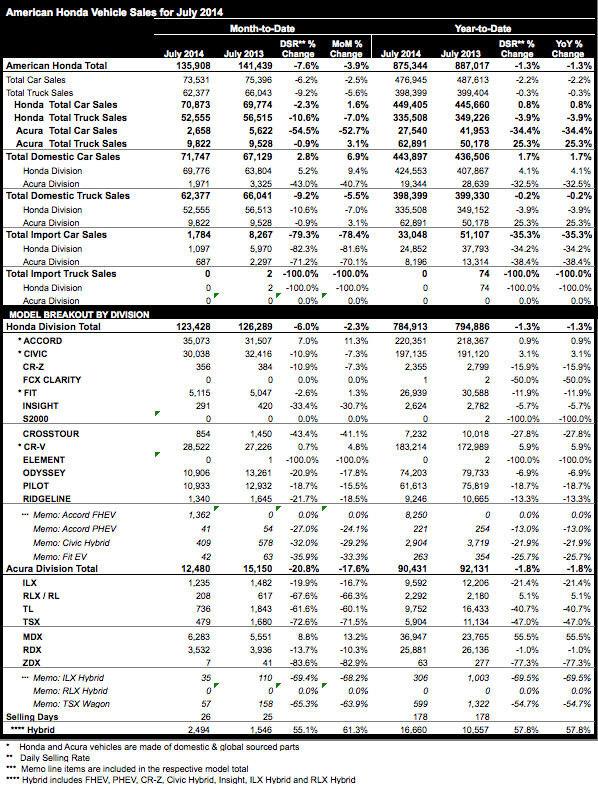 Accord had its seventh straight month above 30,000 sales with 35,073 July sales, up 11.3 percent. CR-V, the nation's best-selling utility vehicle through June, broke a July record for the second consecutive year, bringing its year-to-date sales to 183,214, up 5.9 percent. With dealer supplies continuing to build, the all-new 2015 Fit posted its strongest monthly sales so far this year with 5,115 units, up 1.3 percent vs. July 2013 and up 38.3 percent over June 2014 sales. "The CR-V continues to cement its place as America's favorite and best-selling SUV with yet another record month of sales," said Jeff Conrad, Honda division senior vice president and general manager. "Combined with Accord, which is on its way to become the most popular car in the U.S. for a second straight year, Honda once again has the vehicles of choice in two of the biggest market classes." Overall Acura sales reflect a virtual sell out of prior TL and TSX models as the company prepared for launch of the 2015 TLX line of luxury performance sedans, which is now underway nationwide. MDX, America's all-time best-selling 3-row luxury SUV, was the brand's best-selling model, besting a year-old July record. "Our July sales were definitely impacted by a lack of sedan availability as we sold out of TSX and TL," said Mike Accavitti, Acura division senior vice president and general manager. "We're confident that the all-new TLX luxury performance sedan, arriving at dealers now, will quickly remedy the situation and drive Acura sales growth through the second half of the year." 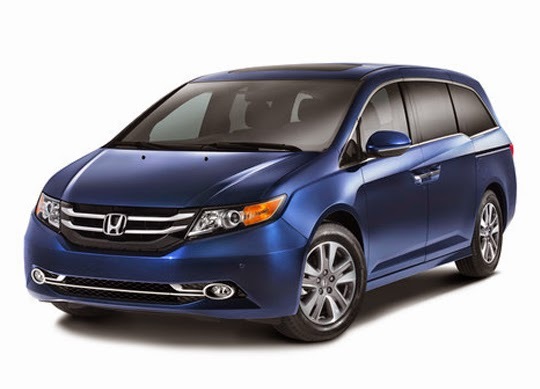 The Odyssey received a host of powertrain, styling, interior, feature and safety equipment upgrades for the 2014 model year, including the acclaimed in-vehicle vacuum cleaner, the HondaVAC™, featured on the Odyssey Touring Elite. Other upgrades designed to meet the needs of active families included the addition of a standard 6-speed automatic transmission resulting in class-leading EPA fuel-economy ratings, enhanced safety equipment and connectivity upgrades. The 2015 Odyssey features a 3.5-liter, 24-valve V-6 engine producing 248 hp at 5,700 rpm and 250 lb-ft of torque at 4,800 rpm. 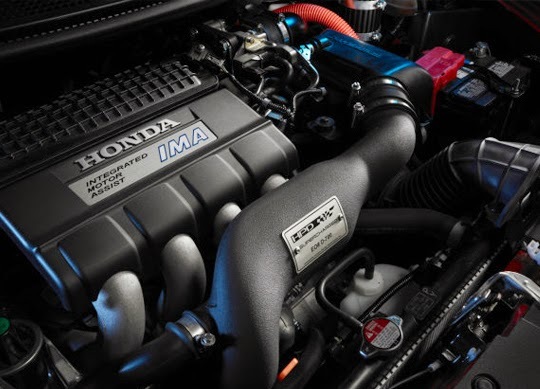 Honda's i-VTEC® enhances power delivery while Variable Cylinder Management™ (VCM®) helps maximize fuel efficiency and reduce emissions. The engine is paired with a 6-speed automatic transmission for EPA fuel-economy ratings of 19/28 mpg3 city/highway and California Air Resources Board (CARB) ULEV-2 emissions certification4. The 2015 Odyssey EX, EX-L, Touring and Touring Elite models have a wiper-linked headlight system that automatically turns on the headlights when the front wipers are activated. In addition, standard one-touch turn signals provide convenience for the driver when making routine lane changes. With this system, one flick of the turn-signal lever provides three blinks of the turn signals – ideal for changing lanes. Pressing the lever past the "click point" provides continuous blinking. A keyless entry system with push button start on EX, EX-L, Touring and Touring Elite allows the driver to approach the vehicle, open the door and start the engine – all without touching a key. The system only requires the driver have possession of the key fob. The system also simplifies opening the sliding side doors and tailgate – locking all doors when leaving the vehicle requires only touching the lock button on any door handle. All 2015 Odyssey models and trim levels include an Expanded View Driver's Mirror. The driver's side mirror provides a 19-percent increase in visible area, offering an enhanced view of objects that might otherwise be hidden in the vehicle's blind spot. Included on Odyssey EX, EX-L and Touring models, the Honda LaneWatch™ display provides an expanded rear view of the passenger side roadway. The system uses a camera mounted on the bottom of the passenger door mirror, which when activated by the right turn signal or the signal-stalk LaneWatch™ button, displays a live, 80-degree view of the passenger-side roadway, compared to 18- to 22-degrees typical of a standard door mirror. A rearview camera is standard on all Odyssey models. Odyssey LX, EX and EX-L models feature a single-angle "Normal View" display, while EX-L Navi, Touring and Touring Elite models have a Multi-Angle Rearview Camera with wide, normal and top-down views – all with improved optical quality. All rearview camera systems feature guidelines. The Odyssey Touring Elite features the first minivan in-vehicle vacuum cleaner system, HondaVac™ which is designed to help families keep the minivan interior neat and clean. Engineered for dry use, the HondaVAC™ operates on the vehicle's 12-volt electrical system, and its performance easily surpasses that of a handheld rechargeable vacuums. When paired to a compatible cellular phone, Aha™ and Pandora® interfaces are available on EX, EX-L, Touring and Touring Elite models. XM® Radio is included in EX-L, Touring and Touring Elite models, a HDD audio system comes on the EX-L Navi, Touring and Touring Elite models, and a rear DVD player is standard in EX-L RES, Touring and Touring Elite models. The Touring Elite also features HD Radio™ and new Neural 5.1 Surround™ audio. HandsFreeLink® is included on all models, and Bluetooth® audio streaming, SMS and email functions are available with compatible smartphones. Additional features include a phonebook, call history, speed dial and contact picture. Odyssey EX, EX-L, Touring and Touring Elite include HondaLink™ featuring Aha™ which offers content from hundreds of channels through a tethered compatible smartphone. 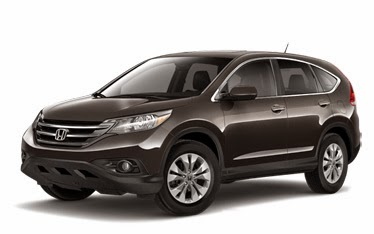 The Odyssey utilizes the next-generation of Honda's Advanced Compatibility Engineering™ (ACE™) body structure and makes extensive use of high-strength steel in the A-, B- and C-pillars, roof rails, floor rails, front body area, and front subframe. This results in a very strong front door opening with less chance of deformation in a frontal collision.